When it comes to French Polynesia, it’s often the lesser-known gems that keep you captivated. You can rent your own piece of paradise. Overwater bungalows might be synonymous with The Islands of Tahiti, but what say you to renting your own private patch of pristine waterfront or pitching a tent in a lush camping ground? 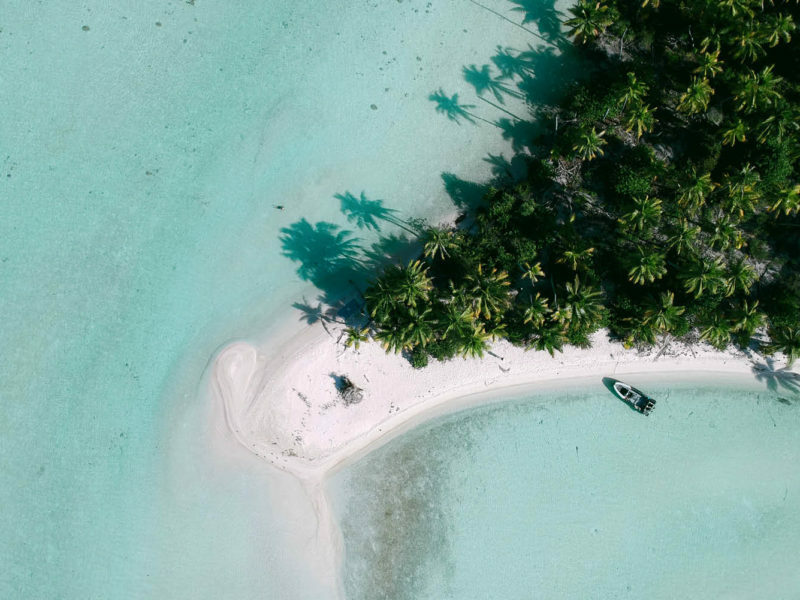 Dotted around some of the most spectacular parts of each island, campsites and Tahitian guesthouses (also referred to as pensions or fares) give visitors the opportunity to connect with locals and immerse themselves in traditional French Polynesian life. Naturally, no visit to The Islands of Tahiti is complete without a mandatory cocktail-sipping-on-a-hammock session, or simply snorkelling their vibrant coral reefs, but the adrenaline junkies among us need not miss out. Think swimming with pods of humpback whales in Moorea between July and October (in waters so rich with marine life you’ll feel like the bay leaf in ray and reef-shark soup), then hiking the lava tubes of Tahiti, or enjoying drift dives in Rangiroa’s Tiputa Pass and Fakarava’s Tumakohua Pass. Fist-pump the air, then repeat. Rivals the Great Barrier Reef. Those without Swiss bank accounts can (and should) apply; budget-friendly accommodation, meals and activities are available on each of the islands – yes, even the fabled celebrity playground of Bora Bora. Close your eyes and picture roadside food trucks serving up the most decadent of crepes and super-fresh poisson cru, scenic island adventures courtesy of next-to-nix bicycle hire and those aforementioned campsites perfectly located by endless azure lagoons. As for those coral-fringed motus and beaches teeming with rainbow pops of tropical fish? They are proof positive that the best things in life really are free. Once in a lifetime experiences. Whether you’re into cycling, running, body ink or fashion, you can rest assured that somewhere, on one of the Tahiti’s stunning islands, there’s a festival that’s just right for you. Will you ink up at Tatau I Tahiti Tattonesia, take part in one of the famed Moorea Marathons or take a front-row seat at Tahiti Fashion Week? The choice is yours – just don’t miss Heiva I Tahiti, the biggest cultural event on the calendar which engulfs the islands over a month-long celebration every July. While there’s no denying the difficulty of getting past the beauty of Bora Bora, Moorea and Tahiti, continue to push on through the shimmering lagoons and white-sand patchwork (hardly the most taxing journey you’ll ever make), and your curiosity will be rewarded with a series of remote islands loaded with largely unknown experiences. Swim with migrating humpback whales and hike majestic peaks on Rurutu, zigzag up the flanks of an extinct mountain to reach the archaeological sites of Ua Huka and opt out of society entirely by renting a private island escape on Tikehau. This really is a ‘choose your own adventure’ holiday – Tahitian-style.